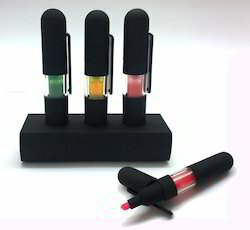 Manufacturer of a wide range of products which include star shape highlighter, hand shape highlighter, flower shape highlighter, 3 in 1 gel highlighter & screen cleaner, chrome plated liquid highlighters pen and rubber coated liquid highlighter pen. 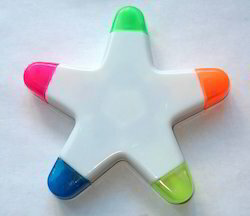 Our immense domain expertise and market knowledge assist us to offer the finest quality array of Star Shape Highlighter. 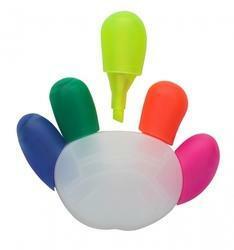 We are listed amongst the renowned organizations in this domain, engaged in offering a superior quality range of Hand Shape Highlighter. 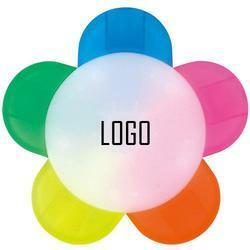 To serve the requisite requirements of our precious customers, we are engaged in providing a qualitative range of Flower Shape Highlighter / Promotional Highlighter. 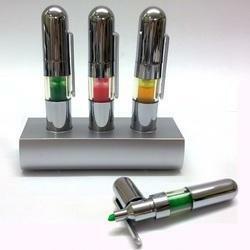 We offer Chrome Plated Liquid Highlighters Pen to our clients. 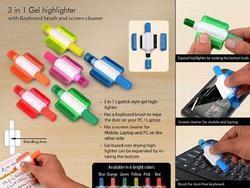 We offer Rubber Coated Liquid Highlighter Pen to our clients.